There are personal and environmental benefits to gardening in containers. First, it's a good way for beginners to start small. A pot with a few plants in it is less intimidating than designing and executing a garden of any size. Instead of figuring the best place for a garden, digging up the lawn and planning heights, food production and bloom time of flowers, you can fill a pot with soil, plant some ornamentals and food, water it in and be done! You have control over the size of your garden, and there are fewer decisions to make. 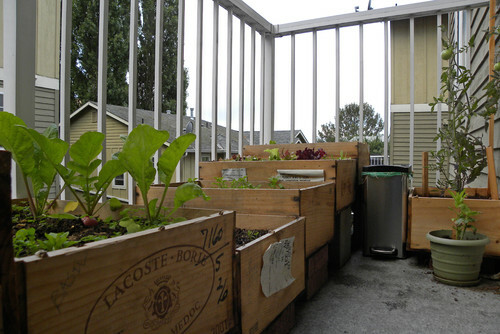 There is less maintenance for a container garden, too. I spend hours weeding, dead-heading flowers, checking for bugs, harvesting and dragging hoses from here to there (I know - the garden writer without an irrigation system! Blasphemy!). When containers are clustered in one spot, all your supplies and chores are also in one spot. Growing only a few plants also lets you study them. If you make notes about their performances, you can expand your gardening knowledge each year, and you may eventually be inclined to dig up some lawn for a bigger garden with more varieties. On the other hand, you may never get the gardening bug, and containers may suit your needs to garden minimally! If you only have a small outdoor living area, containers are perfect for having a bit of greenery in your life. It's a bonus to get food, herbs and cut flowers from your deck or balcony. Containers can even be part of the design, so a small collection can be a tastefully designed art project. Being portable, containers can also be moved around. They can be brought in for the winter or placed for a special event. As for the environment, it's important we grow our own food, especially in urban areas. As Monsanto creeps into our gardens more and more each day, we need to retain our independence by growing our own food, saving seed and sharing with out community. Even one pot with one tomato plant in it is a way to fight back. Anyone with a smidgeon of space can grow a little bit of food. If you've never grown your own food before, you'll be hooked on the freshness and flavor! Containers also save water. Instead of a sprinkler showering a garden and its surrounds, you can put the right amount exactly where it needs to go. The same stands for fertilizers (organic, of course). Instead of broadcasting them over spaces where there are no plants, you can give a container planting exactly what it needs. Self watering containers gauge when plants need water then delivers it to them. Alternatively, you can set up a drip system to cover a series of pots that are close together. That is the most resource efficient way to water. And you don't have to think about it. Put your system on a timer, and you won't have to think about it. That's great for the gardener without a lot of time to spend fussing over a garden. The best containers are recycled or upcycled. 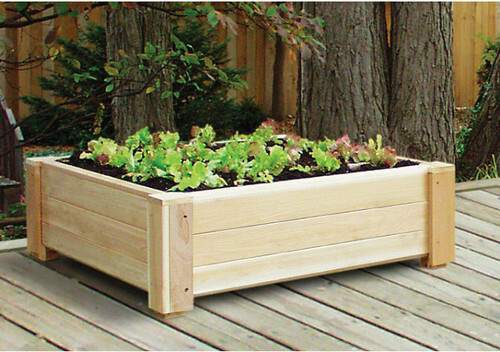 See the author's 'container garden' Pinterest board for recycling and irrigation ideads! Container gardens makes a lot of sense, from the need or desire to grow food in a small area to accommodating disabled and elderly people to saving resources with efficient water systems. Soon we will see a small garden on every porch or balcony!